Get an Easy 10 Quotes. Are you looking for an auto insurance Utah quote? At Axio Insurance we specializing in helping families save as much money as they can without jeopardizing their coverage. Axio currently has over 15 companies to choose from. We take the time to get you 10 quotes to see which high quality company has the best auto insurance Utah rates for you and your family. Our team understands how important each dollar is to your family budget, and we make sure we get the best rates that we can. Let us get you 10 auto insurance Utah quotes today! Call us at 801-692-7774 or fill out our online form now. Take a minute to fill out the short questionnaire. It only takes a few minutes and could save you up to 30% on your auto insurance. It’s fast, easy, and the best part can save you money. Who wouldn’t take 5 minutes to save that kind of cash. We find the company that fits. 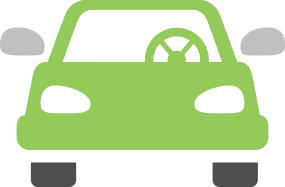 Once you submit your auto insurance information, Axio will submit your information to over 15 companies. Our goal is to represent you and find the best fit for both coverage and premium to suite your insurance needs. Remember we represent you as an independent insurance agency and not the companies. Yes it’s fast, easy, and free. We send you the best quotes! After submitting your quotes to 15 insurance companies, we take the 10 best quotes and send you the ones that best fit your coverage needs as well as your budget. Our team is trained to make sure you have all of the discounts you deserve and we only quote top rated insurance companies. Give it a try today!